My friends Helena and Gerard gave me this book. A thank you for looking after their chickens. I love a sense of humour and the irony was not lost - they are vegetarians. 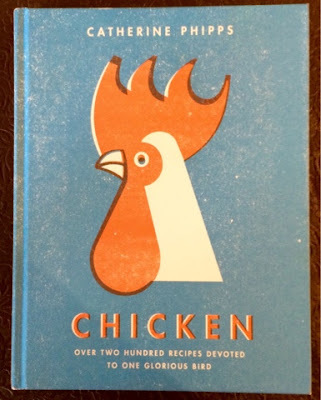 Dinner tonight came from chapter eight, Retro Chicken. With a bit of a crowd to feed and chicken thighs in the fridge I thought a braise or casserole would be a good choice. Dinner came from chapter eight, Retro Chicken. The introduction to the chapter. How could I resist a foray into the unfashionable. From page 128 Chicken Chasseur. 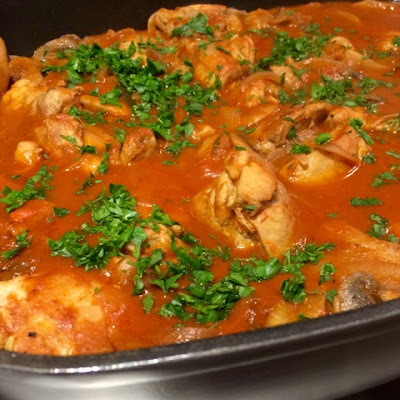 With a French provenance Chasseur is really a simple casserole of chicken with mushrooms cooked in wine and tomato sauce flavoured with garlic, onions and tarragon. 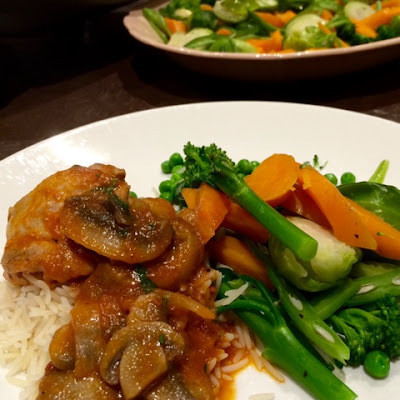 Served with rice and plenty of steamed vegetables for a hearty and flavoursome family style meal that was an easy solution for the crowd and happily, some leftovers for lunch. A chocolate dessert is always a popular ending. 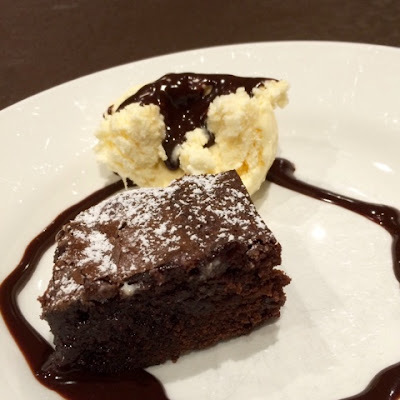 This a new version of espresso brownies that I am working on. 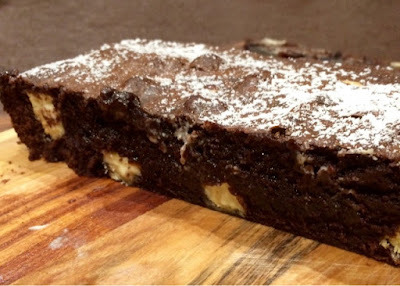 Unlike my usual brownie that is made with chocolate this one uses cocoa with squares of white chocolate pressed into the batter. 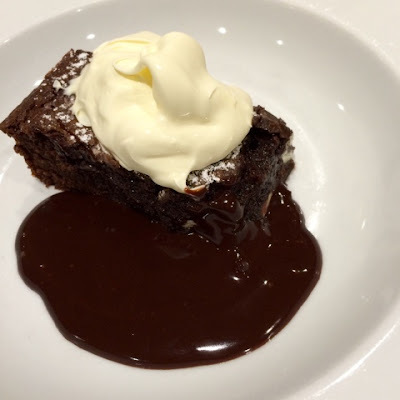 A small piece with coffee or for those with more room, some chocolate sauce, cream or icecream or both. I often delve into my "old" (retro) cook books. Tried and true I say and coming back into fashion. We had Chateaubriand the other night, very 80's. Oh and I like the sound of those brownies. I agree, retro or old fashioned is of little concern to me. It is all about the flavour, ease of cooking and suitability for the occasion.